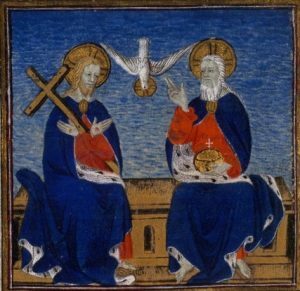 One of the most interesting conversations the book, enGendered, seems to spawn concerns the natur e of things between the Members of the Triune God. Whereas this topic is often avoided for fear of speaking heresy, I suggest that there is too much in the Scriptures that shows us those relationships to remain completely silent about it ourselves. 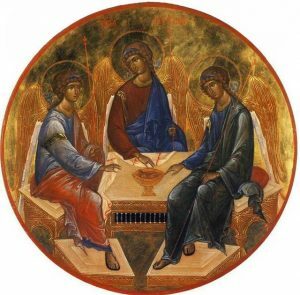 To be honest, exploring and praising the Trinity excites me a great deal. And it gives me opportunity to give one more post of this series of replies to Claire Smith’s auspicious and Australian review of my book. We would do well to review how the Holy Scriptures have purposely referred to the Trinity by sundry and diverse names, including others “through the lips of Jesus.” Just to name a few, Vine-dresser and Vine and Counselor (John 15-17); God and the Word of God and the Breath of God (Genesis 1:1-3); Creator and Wisdom of the Creator and Wind of the Creator (Proverbs 8:22-33, 30:4); The King and the Right Hand of the King and the One Who Testifies for the King (Matthew 22:43-44); Almighty and Lamb and Angel/Messenger of the Lord (Revelation). Dr. Smith should not mistake familiarity with theological categories for the totality of the Biblical witness. The sundry Trinity names have a point. The point is, the Members are given various names, expressing various relationships, precisely to reveal how all our different relationships are reflected in Themself. Do we not learn things about our own fatherliness as fathers, and sonly responsibilities as sons, from calling God, “The Father” and “The Son”? 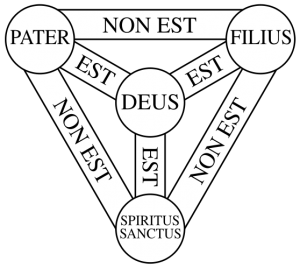 Should we then think that only our paternal relationships are mirroring the Trinity? The Apostle Paul encourages us to see our marriages as a reflection of the First and the Second (1Corinthians 11:3), for which it would be gravely inappropriate to speak of Them as Father and Son (so Paul doesn’t). Paul’s theological move gives us license to understand the Trinitarian relationships from different perspectives. Much in the Scriptures show us Their relationships to help us to understand our own. Using “First, Second, Third” is just a step to help us do that. 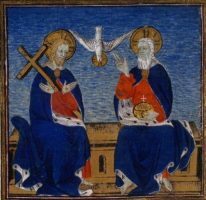 Most seriously, Dr. Smith voices concern regarding the Trinity about whether it is right to suggest that their Divine Wills ever involve counterpoint. To her, that would imply wrongful discord. 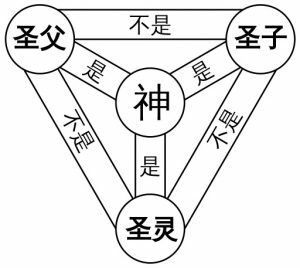 But if we really take seriously that there are three distinct Persons in God, does that not mean that They have different perspectives that They work out in Their perfect way? Do They ever vary in purposes that are then beautifully resolved? These questions concern heavy topics such as Dyothelitism, the Christ’s separate will from the Divine will in His human state, and the effect of this on the doctrine of Christ’s hypostatic union, and other involved matters. They beg a larger treatment than can be made here, so keep a watch on the Trinitarian categories of posts on this site. But, as I have said, these are great questions for the church to consider as we seek to understand gender. Thank you to Dr. Smith for raising them, and I hope the thoughts I have laid out help to answer them. But just as important, let us rejoice in knowing the great Three in One, ever more and ever enough.